Publisher: Godage International Publishers (Pvt.) Ltd. 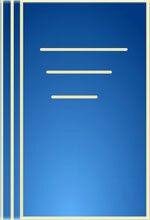 The Title "Memoirs of Osmund Jayaratne 1st Edition" is written by Social Scientist's Association . This book was published in the year 2004. The ISBN number 955207584X|9789552075841 is assigned to the Hardback version of this title. The book displayed here is a 1st Edition edition. This book has total of pp. x + 167 (Pages). The publisher of this title is Godage International Publishers (Pvt.) Ltd.. We have about 211 other great books from this publisher. Memoirs of Osmund Jayaratne 1st Edition is currently Available with us.